The whirl of traffic. It’s nice to be up there, away from the buzz. As blogged about in previous posts, our recent trip to Egypt was marked by a series of love-hate relationships. 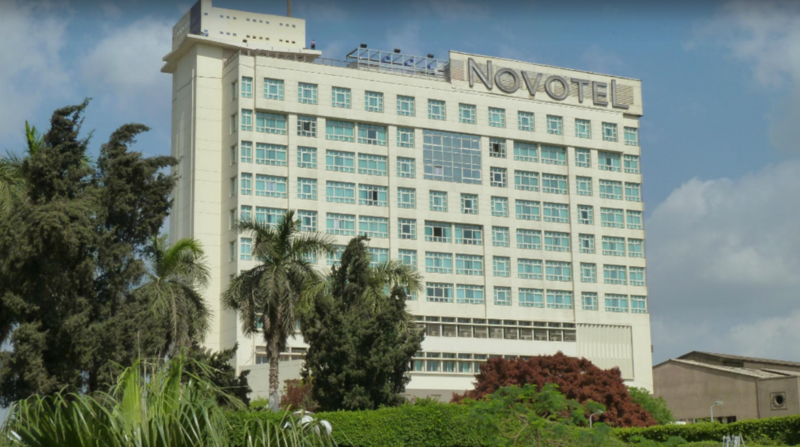 The hotel which we stayed at for five nights, Novotel Cairo El Borg, was probably, a love. It was decent, and the price – about SGD100/ USD75 per night was very affordable, given the comfort and safety that came with it. Tripadvisor gives it a 4 out of 5 rating, which is a really good deal given the price. The facade of Novotel looks a little old, but it has a pleasant eterior. 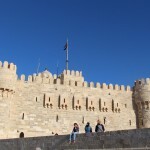 Credits: Tripadvisor Traveller Photo by Angela P.
I’ve also learnt to not judge a building by its exterior, in Egypt. Novotel Cairo El Borg looks a tad old from the outside, but the interior is pretty modern and clean. I’m guessing it’s due to the climate, where sand is blown in from the nearby deserts of Giza, rendering most buildings brown and dusty, as seen from Cairo Tower, below. View from the room. 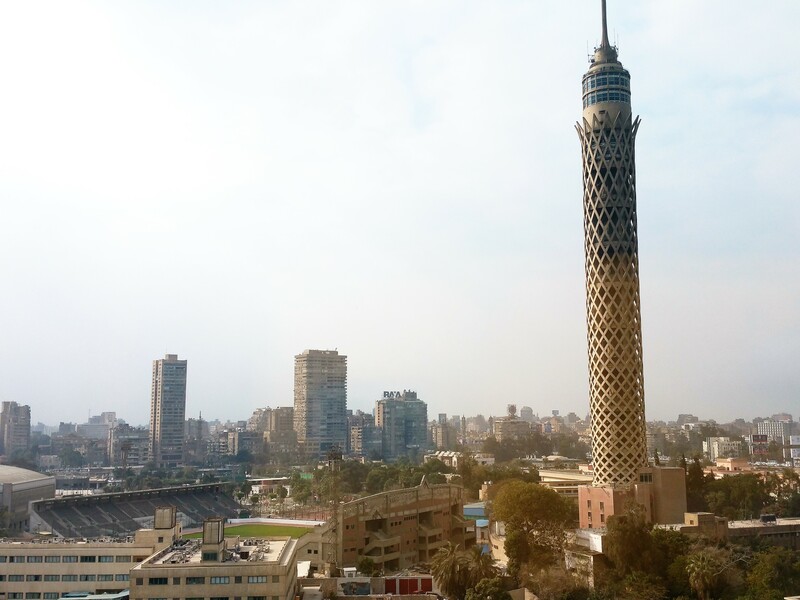 Wasn’t sure if the Cairo Tower is worth visiting. It looks like a cylindrical pineapple. The room was large, overseeing a secured compound, of which appears to be a leisure park for selected people, perhaps government workers as it is right next to the Education Syndicate. Therefore, don’t be too alarmed if you see a bunch of soldiers with guns right next to the hotel. 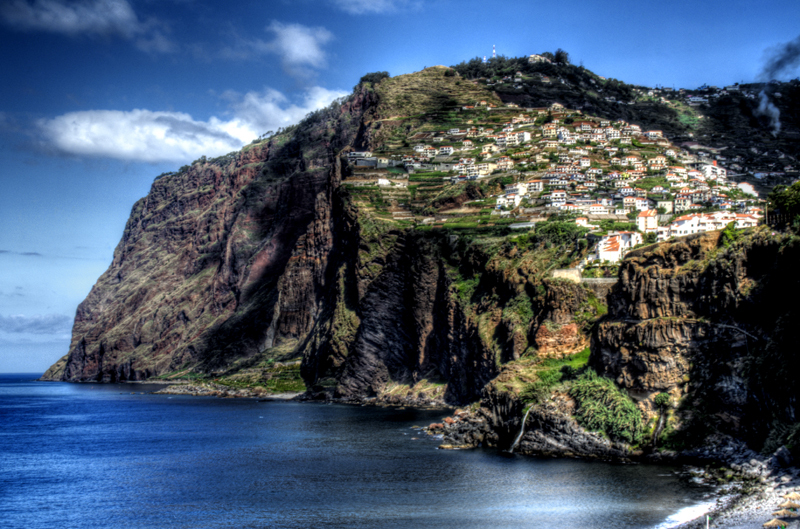 View from the room – Spend a good number of hours thinking what this place is. 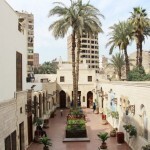 Novotel is located in Zamalek, which is the foreigner enclave in Cairo. 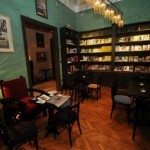 It’s also where the nice, foreigner-friendly restaurants and bars are located. It’s a 15 minute walk away from the hotel. It’s best you take an Uber there. 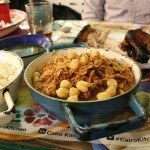 Novotel Cairo El Borg is also a 10 minute walk away from the subway station, Sadat. I assess the level of security of a hotel by the way it treats its guests. There is a metal detector located at the entrance of the hotel. Anybody walking through it, including guests, have to place their belongings through the detector. A bag check is required if the machine buzzes. I’m familiar with bag checks in India. Some times there is a power cut and people stream through, unchecked. But the security guys in Novotel Cairo really meant business. They do a thorough check each time some one walks in, albeit hurriedly. The treatment is the same for all. The rooms were slightly dated, but were big and comfortable. They were clean too. Just remember to ask for a non-smoking room, as that’s not the norm. There were only two levels of non-smoking rooms out of approximately seven floors. There’s no better way to start your day, with some freshly made omelette. There’s a chef which is on standby for that. 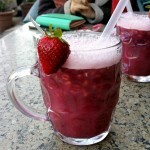 There’s a wide-spread of fruits and vegetables, for the health conscious too. Apart from Middle Eastern food such as humus and pita bread, there’s international food such as grilled tomatoes and hash browns. The Nespresso machine, when functioning, provided coffee which was most aligned to our taste buds. 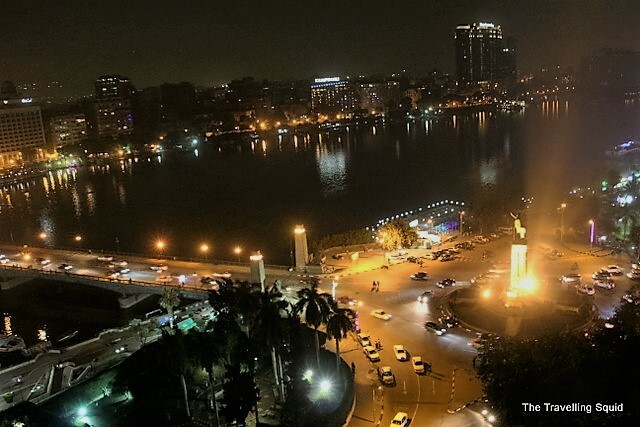 The river Nile, passing through Cairo. Looks pretty charming. 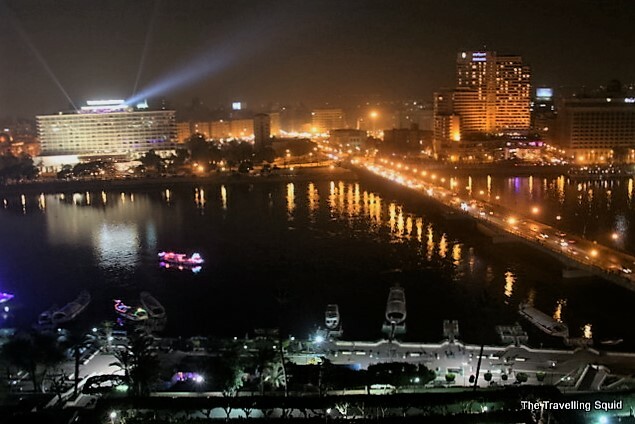 If you’re looking for a good vantage point of the Nile, the hotel’s rooftop bar is the right place. We didn’t buy any drinks – just stood by the side and took some pictures. Pardon the blurry pics, but it was one of the best locations which offered a bird’s-eye view of Cairo at night. The bar closes pretty early too, so be there before 10pm to take your night shots. 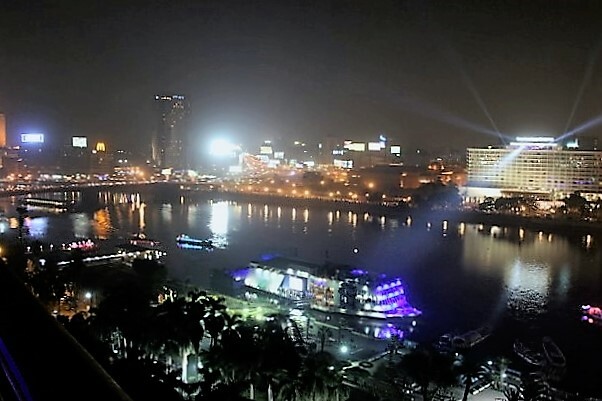 The bridge connecting Zamalek with rest of Cairo. It gets pretty congested in the day. 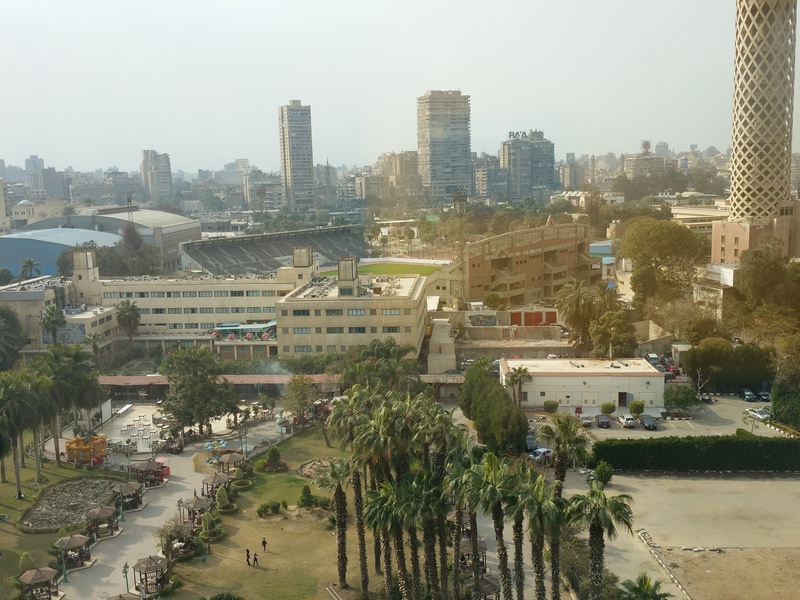 Novotel Cairo El Borg was probably one of the more pleasant experiences we had in Cairo. It was a reassuring place to turn to, after an exhausting time dodging scams, and negotiating a torrent of people at the subway and chaos on the roads. The breakfast was a highlight each morning, (though we got a little jaded on our 5th day), and supplied me the necessary fibres to get a poop going. There were just certain times where we felt so exhausted, and were glad to return to the hotel. It was nice not having to travel too far, to get an excellent night view on its rooftop bar. But most importantly, we felt safe there. Novotel Cairo El Borg gets a strong recommendation from The Travelling Squid. 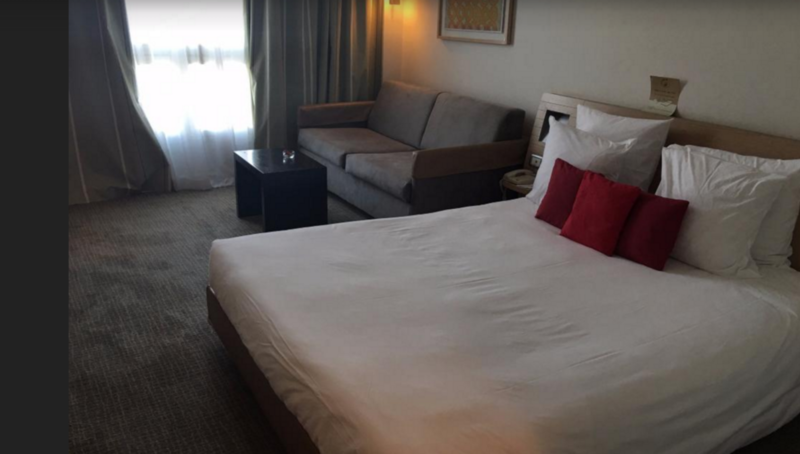 One Response to "Review: Hotel stay at Novotel Cairo El Borg"